Biathlon is the most watched Winter Olympic sport outside of the United States. It’s no surprise why people love it- it’s unique and very difficult! Biathlon is a combination of cross country skiing and target shooting. Anyone that frequents the range can tell you that these two activities are not exactly easily compatible. 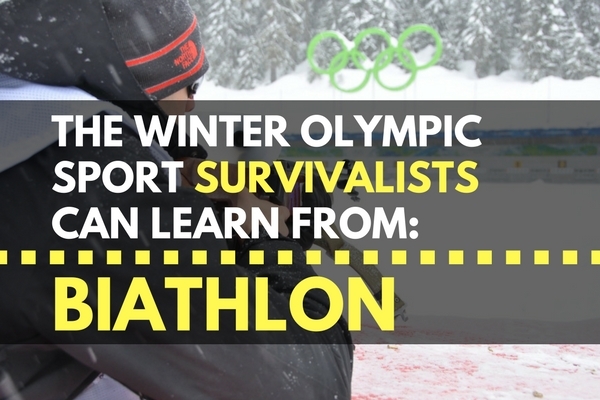 We’ll talk a little bit about the history of biathlon, the techniques the athletes use to perform at an Olympic level, and how survivalists can learn from the sport. Cross country skiing with guns mixed in seems like an odd Olympic combination, but it is one sport that makes perfect sense given its history. The sport itself has been around for over two centuries, and has been included in the Olympics since 1924. When it was first introduced, it was aptly named the “Military Ski Patrol” event. The competitors ski various distances based on the event and stop periodically to take shots at targets at least 50 meters away. The shooting can be especially difficult because competitors heart rates rise up to 200 beats per minute. Shooting with a racing heart rate can drastically affect your accuracy. A missed shot requires a ‘penalty loop’ of more skiing or time added on. This can increase their heart rate even more, making later shots even more difficult. Speed while cross-country skiing comes secondary for a biathlete. The important technique to this sport is breath control and the ability to reduce your heart rate on command. The athletes that excel in this sport carefully manage their breathing to reduce their heart rate prior to shooting at targets. Some even manage to get it down from 200 to around 130 beats per minute- still a racing heart rate! Missing the targets can push a fast skiing leader to the back of the pack in an instant. Anyone who has practiced breath control while shooting a gun can tell you that it is something that has to be practiced- and that is at a range. Combining this with extremely exhausting cross-country skiing makes the task nearly impossible and pretty much guarantees a miss for anyone but the most disciplined. I would encourage you to check out any of the biathlon events to see why the rest of the world finds it so compelling. We may practice breath control at the range, but most of us are standing still and have not just elevated our heart rates to over 200 beats per minute! The last time I moved while shooting was at the ranges in the military several years ago, and these were short sprints and just positional changes. The biathlon is a lot closer to real-world situations than our standard range practice or even my military training. The heart rate gets up there from physical activity and stress- and we should expect to have to deal with it. We may not be able to get from 200 beats per minute down to 130 in a matter of seconds, but it can only help to try. If your able to- consider checking out an outdoor range with a course to see how you fare. Movement and shooting don’t help each other out, but it could be a necessity. The most popular sport by far in the United States as far as viewership goes is figure skating. I’d suggest you record some biathlon to watch instead and see which is more interesting. 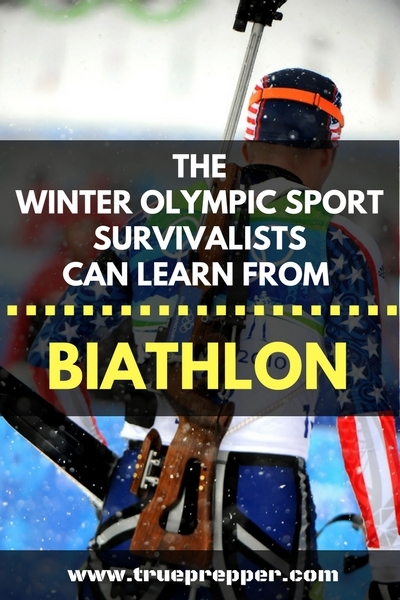 Biathlon is the sport that closest aligns to survivalists, at least until they put some sort of Alone inspired survival sport in the summer games. Either way, I hope you enjoy the Olympics and the spirit of competition as much as we do here at TruePrepper. It’s refreshing when our countries differences are reduced down to friendly competition every few years. Keep exploring, stay prepared, and be safe. ← Chemtrails or Contrails: Proof of Danger in the Skies?